The requirement for first aid on aeroplanes if different from other businesses due to the location, lack of resources and time from professional help. This course covers the problems that can be faced by aircrew and how to deal with them. Also covered is an alternative to CPR where delivering in the confined space of a plane walkway. 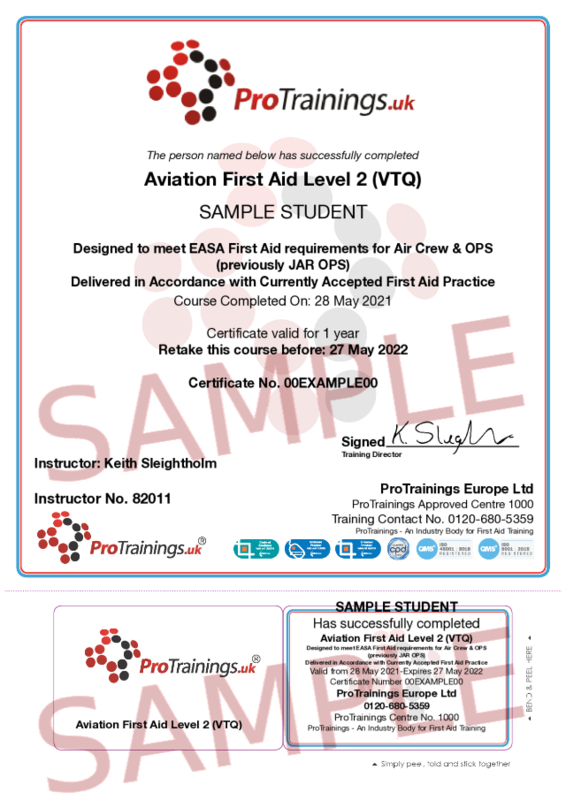 This course is designed to meet the first aid requirements for aircrew first aid laid down by the European Aviation Safety Agency.